Redditch, in Worcestershire, is widely thought of as a new town. Largely developed since Victorian times, many of the villages were swallowed up as the town spread. The 1960s brought the town many of its infamous roundabouts and landmarks, and much of “Old Redditch” was lost forever beneath dual-carriageways and a new shopping centre. Yet the town has a rich history. At the north-east outskirts of the town, the ruins of Bordesley Abbey can be found, along with Forge Mill Needle Museum, and the Abbey’s visitor centre. The Abbey was founded in 1138 by the Cisterian Monks, who drained the marshy land, diverted the River Arrow, and built this centre of worship. 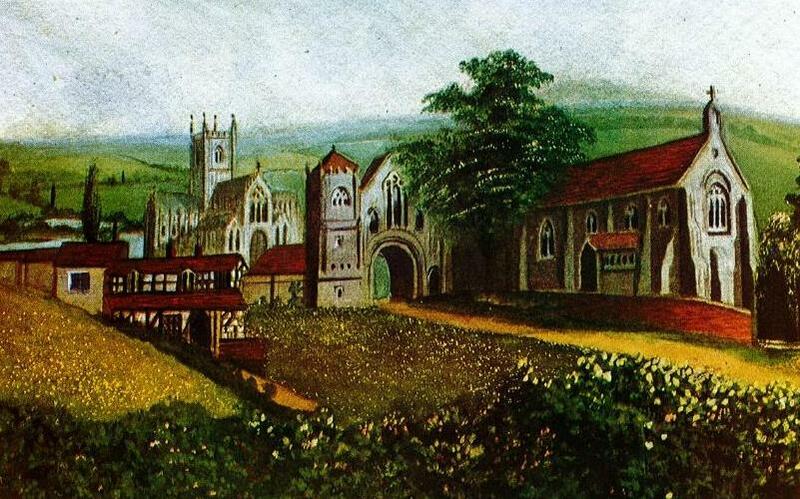 The community thrived, but after the Reformation of King Henry VIII in 1538, the Abbey was torn down. Some of the site was spared destruction. St. Stephen’s Chapel at the west of the complex and seen to the right of the illustration, was allowed to remain, as at that time it served as the local parish church. It remained in use until it was taken apart in 1805, when it was “relocated” to the centre of the town and rebuilt as St. Stephen’s Church at Church Green. The new church was built using many of the materials of the original chapel, but sadly not everything survived. The graveyard at the site of St. Stephen’s Chapel was left alone, with several heavily weathered stones surviving to the present day. Some of the oldest graves in Redditch can be found here, dating back to the 17th Century. These gravestones were made from blocks of stone from the Abbey ruins. Besides these historic graves, there are two stones, perhaps originally one split asunder, with some rather odd markings. 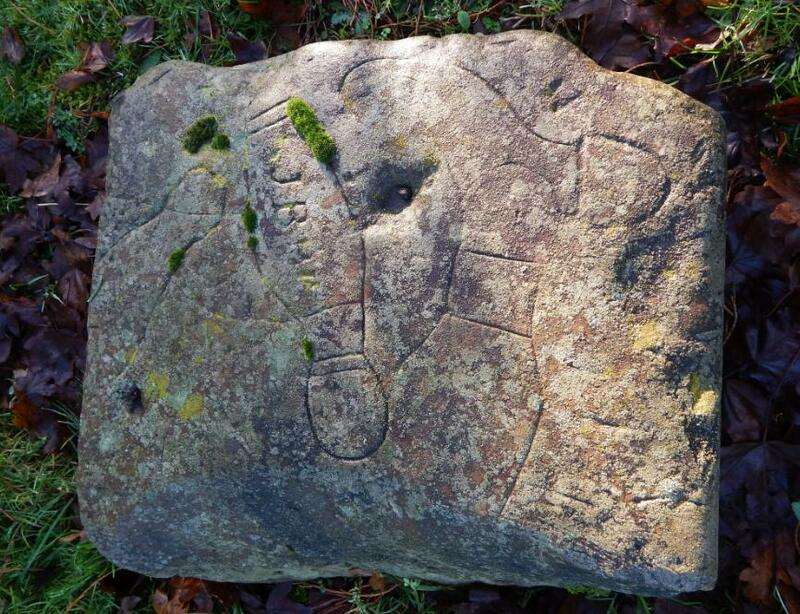 If vandalism was the answer, then I can only imagine that returning 19th Century visitors continued the trend of drawing around their shoes, as many shapes and sizes are recorded. The Abbey ruins would be a pleasant spot for a picnic, and it is possible that the stone was used by day-trippers wishing to leave a permanent mark of their visit as casual graffiti. I personally think that they could be marks left by religious visitors leaving their pilgrim’s footprint forever marked in holy stone. These blocks were from the ruins of the old Abbey itself so surely would hold some significance to Christians. Not only are the shoe outlines carved into the blocks, but great care has been taken to include the detail of the sole and heel on many of these footprints. Perhaps even, these are the shoes of R. S. Bartleet, J. M. Woodward, and their team, who excavated the Abbey ruins in 1864. Woodward published the findings in 1866 in “The History of Bordesley Abbey”, and planted the Wellington Pine that towers above the graveyard. Could these carvings in stone have been done to illustrate these deeds of charity by those benefiting from the generosity of the monks? Could they even be drawn by the laymen of the Abbey as a “sign post” that shoes were distributed here, or even be markers used as a template for making the wooden soles of these shoes? I can only speculate, and I am certainly no authority on historical footwear! Whoever left their footprints, it is intriguing to see these markers from lives past, and makes for an interesting detour if you ever visit the Abbey Meadows. The Isles of Scilly, Lost Peaks of Lyonesse? Twenty-eight miles off the coast of Cornwall, the Scilly Isles rise above the waves of the Atlantic. Lying southwest from the tip of Land’s End, they are counted as part of the Duchy of Cornwall, one of the Celtic realms of Britain. The isles are steeped in history, having been inhabited since the Stone Age. Myth tells of a lost kingdom beneath the waves off Cornwall’s coast; could the Scilly Isles be the remains of the legendary kingdom of Lyonesse? The Scilly Isles consist of around 140 islands, including five larger ones which are inhabited; St Mary’s Tresco, St Agnes, Bryher, and St Martin’s. The islands benefit from a mild climate with palms and tropical plants featuring in many gardens. From time to time though, the islands suffer from great Atlantic gales. However these same sea winds mean that it is rare for frost and snow to appear, and this makes it possible for the islanders to grow crops that would be sown much later in the year on the mainland. The islands are famed for their wildlife and are a haven for birdwatchers, as well as being one of the last places in Europe to see an elm forest after Dutch Elm disease caused mass destruction of this tree in the 1970s on the mainland and on the continent. The islands can be reached by ferry in a two hour crossing from Penzance on mainland Cornwall. Mythology tells of this land being positioned off the coast of Cornwall, with many placing this as being lands lost between the mainland and the Isles of Scilly. Some even speculate that these islands and Seven Stones Rock are all that remains of Lyonesse, being the hilltops of a long drowned world. 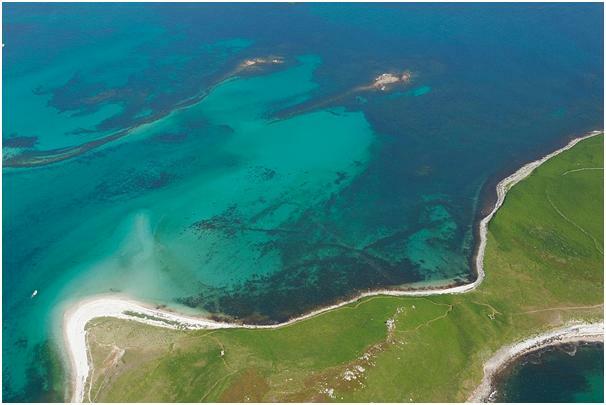 The sea levels of the Scilly Isles certainly have changed over the years, with tantalising remains beneath the waters visible around the coast. Neolithic burial mounds decorate the landscape, and evidence of ancient peoples can be seen when the tide is low. The Romans wrote as late as the fourth century, how the Scilly Isles consisted of one main island, and during the strong tides of the spring and autumn equinoxes, it is still possible to walk from isle to isle over the flats revealed at low tide. 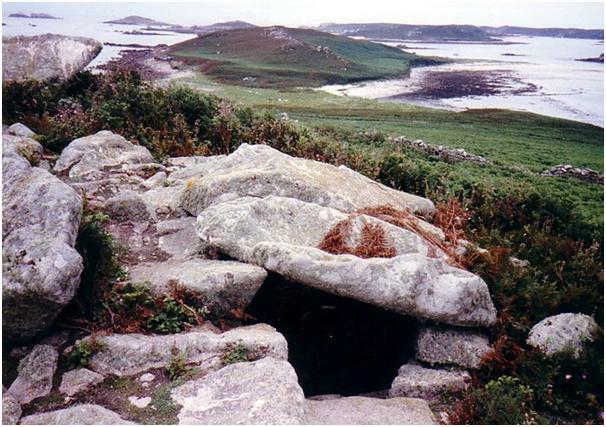 The antiquary William Borlase, studied remains on the Scilly Islands, in particular lines of stones running from the shore in Samson Flats of the isle of Samson. He wrote in 1753 that he believed they were manmade. Later studies of the site in the 1920s concluded that these were field boundaries from the Bronze Age, and this evidence added to the belief that land once stretched out much further than it does today. Modern oceanographers have suggested that the sea level must have risen more than 4 meters in the last 3,000 years and suggest that the remains off the shore of Samson were instead fish traps, as these changes in sea level do not match with more widely-known sea level changes in the British Isles. Yet another factor that comes into play is submergence. As the glaciers of the last Ice Age melted, the southern coast of Britain started to sink, a phenomena that is still happening today. This account of Lethowsow seemed attestable by the accounts of local fishermen. Around Seven-Stones Rock was an area which the Cornish named Tregva, which means in their native tongue, “Dwelling”. Stories were told of how fishermen would catch pieces of doors or windows in their nets and on their fishing hooks, proof surely of a civilisation gone beneath the waves. More evidence of changes in sea level appear in Mount’s Bay, near Penzance, where the remains of a submerged forest can be seen at low tide. The Cornish name for St Michael’s Mount which rises sharply up from the bay suggests a different view to the one which greets the modern visitor. 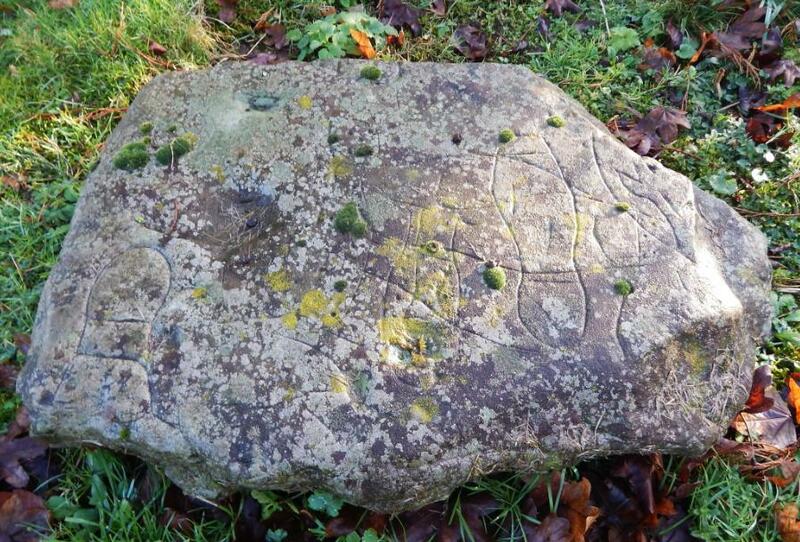 “Carrack Looz en Cooz” translates as “the grey rock in the wood”. There is also an account from the 1860s by Robert Hunt who described how as a schoolboy, he would wander out into the bay during low tide with his school friends to see the petrified forest in Mount’s Bay, and gather leaves and beechnuts embedded in the sand. Whether nuts and leaves remained by the nineteenth-century or not, to this day, pieces of wood and tree stumps can still be seen at the site now known as Longrock Foreshore. It is in legend however, that we hit a problem. Lethowsow and Lyonesse may have been brought over by the Benedictine monks that settled in a monastery on St Michael’s Mount. These monks had strong links with their French mother-house, Mont-St-Michele, in Finistère, Brittany. Breton myth tells of a drowned city in the Bay of Douarnenez, named Ker-Îs. The Breton tale describes how the city was destroyed by a great flood, with only one survivor, King Gradlon, escaping the deluge on his horse. 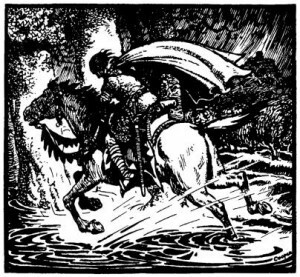 The Cornish tale describes how a man named Trevilian escaped the flooding of Lethowsow by galloping on a white horse ahead of the waves. One should note that “Finistère” means “Land’s End”. The Breton tale describes how Ker-Îs would one day return. The first person to see the cathedral spire emerge from beneath the waves and hear the bells ringing, would become king of the city. Lyonesse too, is said to one day re-appear, and there are accounts in its mythology of how the church bells of the lost land can be heard ringing from beneath the waves. It seems that these are both regional variations of the same story. Whilst populated from early times, the area now known as Brittany was called Armorica by the Romans. In the 4th Century, troops from Briton were counted amongst an army that settled in the area after being withdrawn from the British Isles. A second wave of Briton settlers arrived in the 5th Century to escape invading Anglo-Saxons and raiding Irish. Whilst this has been documented by Welsh authors Gildas, and Nennius; the earlier account recorded in the Historia Brittonum, modern archaeology has proven that these migrations occurred. The Britons then became known as Bretons as their culture took hold. 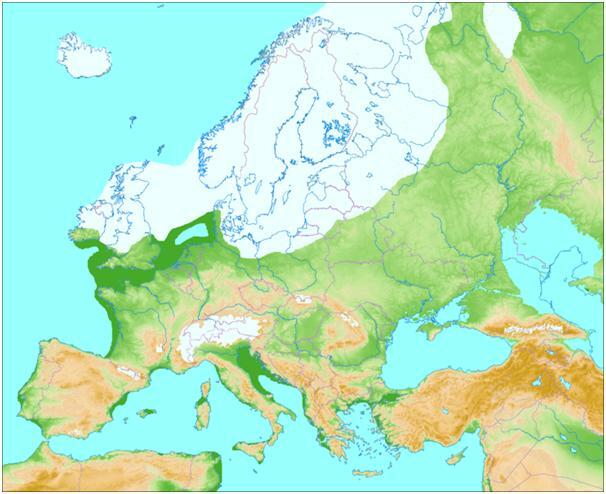 It is important to note that their language “Brezhoneg” has many similarities with Welsh and Cornish, and falls within the Brythonic umbrella of languages. Did the legend of Lyonesse travel with them from Cornwall, or was it exported from Brittany by the monks that settled in Cornwall? A final factor to consider is that medievalists believe that the identification of Lethowsow as Lyonesse, sprang from a mistake. In Arthurian romance, the hero Tristan was the nephew of King Mark, and the lover of his uncle’s younger wife, Iseult. The earliest versions of “Tristan and Iseult” call his native land “Leonois”, the Old French name for Lothian, Scotland. Tristan himself bears a Pictish royal name. He was perhaps a Pictish prince of the eighth-century, whose story was drawn south when Loenois was confused with Leonois in Brittany; the Breton district of Cornouaille was then assumed to be Cornwall. Another reason for locating Tristan in Cornwall may have been the Drustan Stone, a listed ancient monument presently standing beside the A3082 leading into Fowey. According to its Latin inscription, it originally marked the grave of “Drustanus, son of Cunomorus”. “Cunomorus” might be Cynfawr, the sizth-century British ruler of Dumnonia (which included Cornwall). Though sometimes regarded as the grave of the legendary Tristan, the conflict with the Scottish evidence has not been satisfactorily explained. 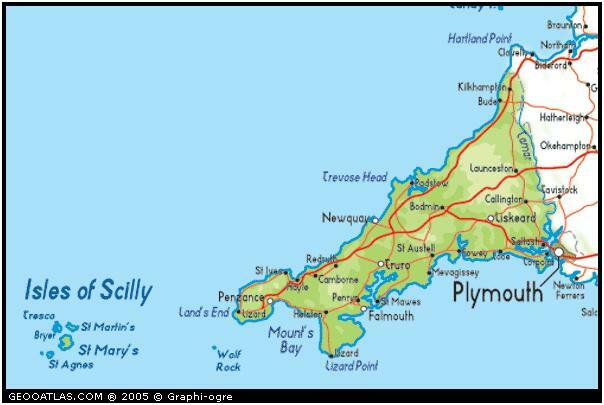 Whilst there is unmistakable evidence that there was once a land between mainland Cornwall and the Isles of Scilly, it is highly unlikely that it was swallowed by a sudden flood. Geological and archaeological evidence have given weight to the tales told by fishermen, and are likely to have influenced further elaboration in the legends written to explain their existence. In the future, we are likely to see further exploration of the underwater sites between the Isles of Scilly, and the prospect of finding remains of sites unspoiled by the plough or the hands of looters is quite exciting. I would suggest that whilst there is a land beneath the seas, it is unlikely that the Scilly Isles are the hills of the lost land of Lyonesse. If such a place existed, I would place it somewhere between Cornwall and Brittany. However, it gives the area beneath the Cornish waters notoriety in Celtic mythology, and illustrates how through folk memory, geographical changes have been noted by local people throughout the ages.